For years the Institute for Enterprise Systems and the Mannheim Center for Enterpreneurship and Innovation have cooperated closley. We are therefore more than happy to anounce the MCEI's Seed Award for promising startups of 2018. For years the Institute for Enterprise Systems and the Mannheim Center for Enterpreneurship and Innovation have cooperated closley. We are therefore more than happy to anounce the MCEI's Seed Award for promising startups of 2018. The award is excellent oportunity for young startups to receive 10.000€ of seed-financing without strings attached. Apllicants should send their pitch deck and a short explanation on how they met the MCEI's criteria to seedaward@mcei.de until the 15th of January, 2019 by 11:59 pm. 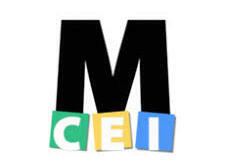 The criteria for an apllication can be found at the MCEI-website. The Institute for Enterprise Systems is always happy to see young and innovative startups succeed and wishes you good luck.